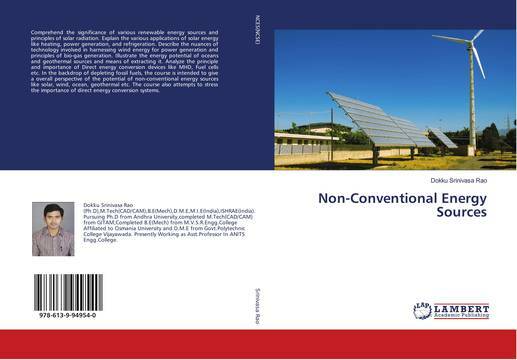 Comprehend the significance of various renewable energy sources and principles of solar radiation. Explain the various applications of solar energy like heating, power generation, and refrigeration. Describe the nuances of technology involved in harnessing wind energy for power generation and principles of bio-gas generation. Illustrate the energy potential of oceans and geothermal sources and means of extracting it. Analyze the principle and importance of Direct energy conversion devices like MHD, Fuel cells etc. In the backdrop of depleting fossil fuels, the course is intended to give a overall perspective of the potential of non-conventional energy sources like solar, wind, ocean, geothermal etc. The course also attempts to stress the importance of direct energy conversion systems.